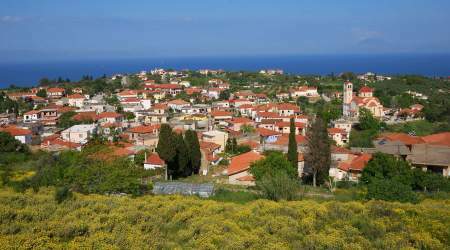 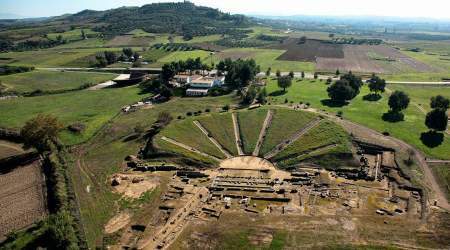 Starting from your hotel we will pass through the fields full of olive groves and orange trees and the small villages of the plain of Ilia, we will first visit Ancient Elis. 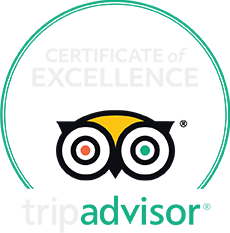 You will travel with your mind back to the ancient times by watching the ancient theater and the rest of the city’s monuments as well as the statues in the archaeological museum. 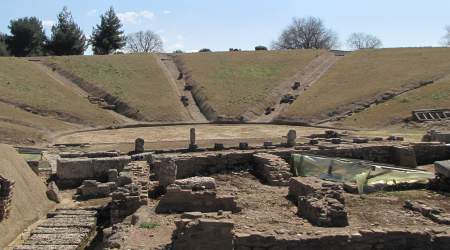 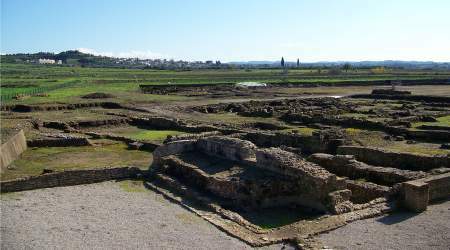 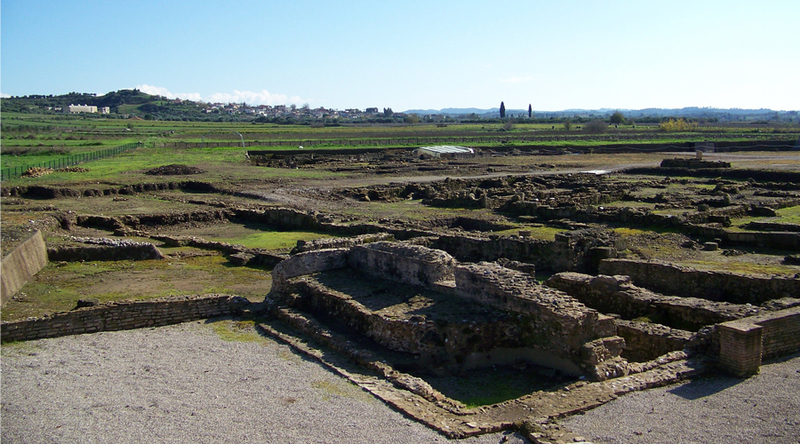 It was one of the most influential hubs in the Peloponnesian peninsula during the ancient times. 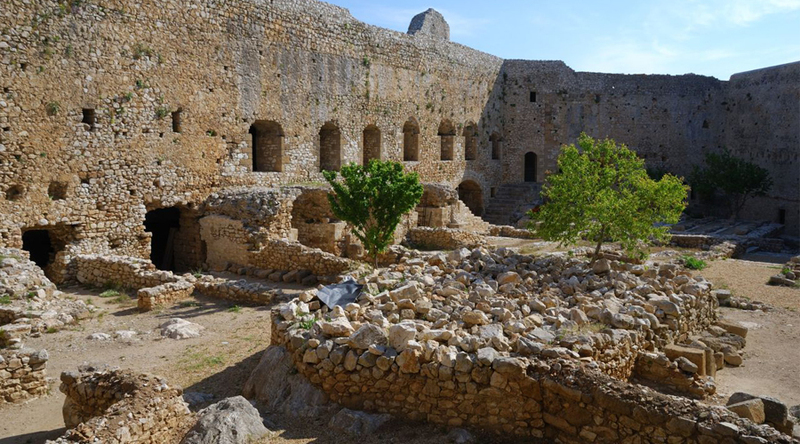 After this we will visit the castle of Chlemoutsi, about 30 km from Ancient Elis. We will pass through some small villages with olive groves and orange trees. Chlemoutsi Castle is one of the most beautiful castles of the time. 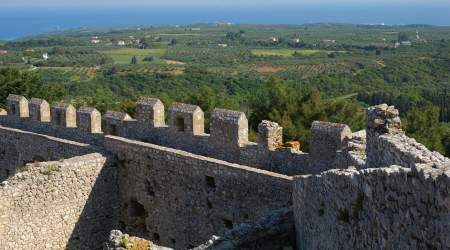 One of the most beautiful features is its view. 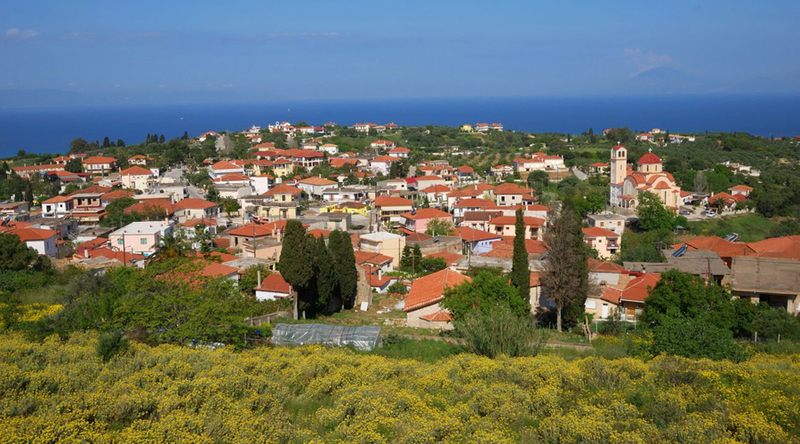 Looking from all sides of the horizon you can see the plain of Ilia with its hills, the high mountains of Arcadia and the Ionian Sea with its two beautiful islands, Zakynthos and Kefalonia. 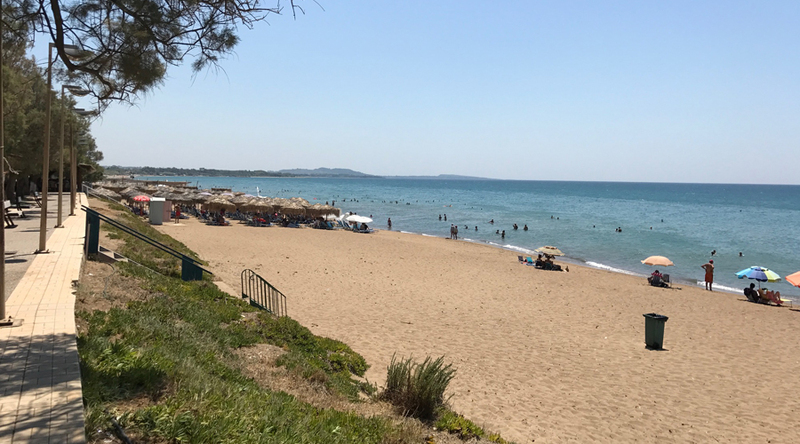 On our return we can visit one of the most beautiful beaches of Ilia, Kourouta. It’s a vibrant beach, full of life, found at less than 3 km away from the second bigger city of Prefecture Ilia Greece, Amaliada. 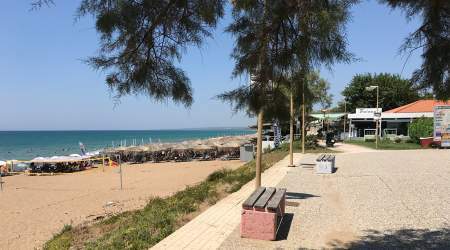 The beach of Kourouta, apart from the spotless sea, which is rewarded with the Blue Flag of the homonym program of European Union, every year offers to visitors plenty of choices for their stay and amusement. 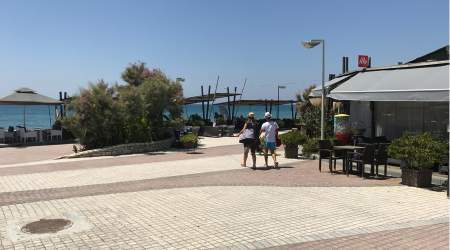 Plenty of coffee-bars, clubs, restaurants, fresh fish taverns, hotels, rented rooms, apartments and camping are offered in Kourouta beach and are ready to make your stay in the region, relaxing and enjoyable. And finally we go back.